It wasn’t long ago that coal executives were openly discussing their dream of Republicans seizing the White House and making Oklahoma Senator Jim Inhofe—who believes climate change is a “hoax” concocted by greedy scientists—the head of the EPA. Now, they have a second chance. As dark-money groups and Super PACs backed by millions of dollars from the fossil-fuel industry are propelling Republicans to a Senate majority, climate science–denying politicians are likely to seize control of key committee chairmanships, a coup for companies seeking to pollute the atmosphere with impunity. What’s more, Inhofe is slated to become chair of the Environment and Public Works Committee, with oversight of the EPA. 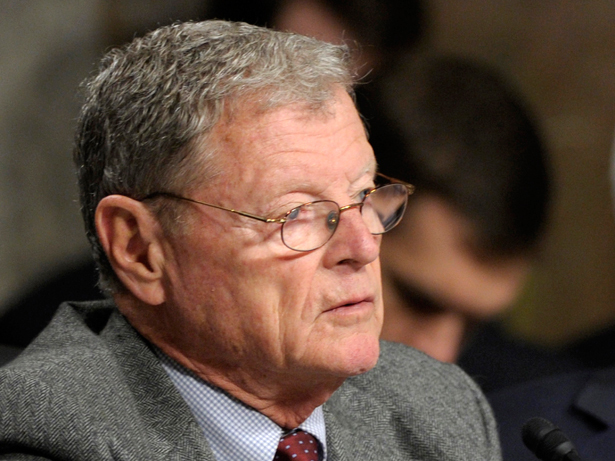 — Environment and Public Works Committee: Senator Jim Inhofe (R-OK) is in line to take control of the EPQ chairmanship, which would give him authority over the EPA. Inhofe, who has compared climate-change activists to Nazis, has already signaled that he will go after regulators on a raft of issues concerning greenhouse gases, from methane leaks to the new rules over coal-fire power plants. — Budget Committee: Senator Mike Enzi (R-WY) has brushed aside the threat of climate change, calling the debate over the issue a “waste of money.” As the next possible chair of the Budget Committee, Enzi may have a chance to rewrite the budget and reduce funding for agencies attempting to regulate carbon pollution. There has been talk about Republicans shutting the government down in a bid to defund the EPA over its climate-change rules. Enzi has already criticized the EPA’s coal regulations and could move such a strategy forward. Should Republicans take a majority of seats in the US Senate, the caucus would be led by Senators Mitch McConnell (R-KY) and John Cornyn (R-TX), two men who have refused to answer fairly simple questions about the threat of man-made climate change. Moreover, the Senate Republicans have indicated that they will not only block the few and fairly weak proposals to deal with climate change but are just as interested in using their power to intimidate environmental nonprofits. Senator David Vitter (R-LA) has recently published reports listing the American Lung Association and the National Wildlife Foundation as part of a nefarious environmental cabal. Though the Vitter reports fail to show any wrongdoing by the nonprofits, he has already sent investigative letters to some groups.